Free Examinations Before Dental and surgical procedures. Pyne Hills Veterinary offers house calls apart from offering the Tottenham community emergency vet care as well as medical, surgical, and dental services. Please "Like" and visit our Facebook Page so you can get involved in all the exciting news and information! Call us today at 905-936-6573! Tottenham veterinarian, Dr. Naeem Bajwa and Dr. Tashfeen Abassi at Pyne Hills Veterinary Hospital are committed to your pet's health and well being. Pyne Hills Veterinary Hospital excels in pet care and the science of veterinary medicine. Dr. Tashfeen Abassi and the staff at Pyne Hills Veterinary Hospital have provided Tottenham compassionate veterinary care and pet services year after year, making us the animal clinic of choice for pet owners in and around the Tottenham community. Pyne Hills Veterinary Hospital is a full-service animal hospital whose mission is to provide the highest standard of veterinary care for pets. We genuinely care about your pets and all animals! Our staff is passionate about veterinary medicine and are extremely well trained. We strive to provide professional, affordable, and advanced veterinary services. At Pyne Hills Veterinary Hospital, you will walk into a calm, welcoming, and friendly environment every visit, so that the experience is as comfortable as possible for you and your pet. Pyne Hills Veterinary Hospital offers the Tottenham community emergency vet care as well as medical, surgical, and dental services. We also have an in-house pharmacy with access to specialists, making our veterinary facility a one stop shop for your pet's health and medical needs. If you are new to our website, please browse around to learn about our facility and to read interesting pet articles and watch groundbreaking pet videos. Click on the "email us" link below to ask us a question or to submit feedback. For directions to our office see our contact us page. To receive free monthly veterinary care articles, please subscribe to our newsletter. Remember, at Pyne Hills Veterinary Hospital, your pets are our family! Brianna has previous experiences working as a Dog trainer and handler, but she had a desire for not just being around animals but learning more about them and of the veterinary industry. This led her to graduate from Georgian College Pre-Health Sciences Program this past year. Her passion for learning and animals won’t end here as she hopes to return to school and become a registered technician and a Canine Massage Therapy practitioner. When she's not at the clinic she is at home with her fur babies; Her boyfriend and her have two sassy cats at their apartment, and a crazy dog at her parents. She loves to get to spend time relaxing in the sun, going on adventures big or small, cooking and seeing family and good friends. Julie is a wife, mother and grandmother. She got into the Veterinary business back in 2005 as a Veterinary Assistant. Her hobbies are genealogy, Nascar racing, reading and continuously learning new things. She loves helping animals in need and really enjoys her job. She owns a Redbone Coonhound and a DSH cat. Dr Prableen graduated in 2010 from GADVASU in Ludhiana(India). She then moved to Canada in 2010 and her love for animals made her pursue her career to become a licensed Veterinarian. She got her license in 2015 and started working at the Animal Hospital of Aurora and Pyne Hills Veterinary Hospital. Before getting her license she worked/volunteered at various veterinary clinics.When she's not at the clinic she loves travelling to experience and explore new cultures, food and people. She also loves hiking and spending time with her family and friends. Dr. Bajwa graduated in 1987 from the University of Agriculture in Pakistan, and completed his Masters degree in 1989. His desire to join and practice as a veterinary professional could not be fulfilled completely in his country of origin due to the economical condition and lack of affordable veterinary medicine. 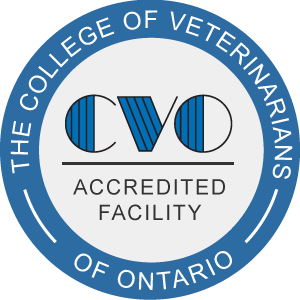 Dr. Bajwa immigrated to Canada in 1993 and had his credentials certified through the CVMA from the Ontario Veterinary College at the University of Guelph. He worked in various veterinary hospitals in Toronto, including the Toronto Humane Society and in Maryland,Virginia in the USA. In 2006, Dr. Bajwa took over Pyne Hills Veterinary Hospital from Dr Cynthia Post. He loves practicing in the area and is very happy with the clients he has been able to work with. Dr. Bajwa's philosophy of veterinary practice is to promote and strengthen the bond between pets and humans through education about preventative care, nutrition, safety and husbandry of animals. "Wow! Thanks to all the staff at Pyne Hills Veterinary Hospital. I feel like you all truly love what you do! My kitty, Lola and I always have such a pleasant experience when we come in. Fortunately, it’s usually just for a check-up, but I would not leave Lola in anyone else’s hands but yours. Thank you for your caring commitment!" "I have benefited tremendously from the care my pet received from Dr. Tashfeen Abassi." "Fabio wasn’t eating the food I was giving him and I didn’t feel he was getting the nutrition he needed. Thanks to Dr. Abbasi, he evaluated Fabio and his current diet to make some recommendations and now Fabio has gone from barely eating to finishing his meals and he looks healthier than ever. You clearly are an expert in your field...thanks so much!"